All members are entitled to attend and vote at the Society’s general meetings, hold office in the Society, and receive The F. Scott Fitzgerald Society Newsletter and The F. Scott Fitzgerald Review, each published annually. 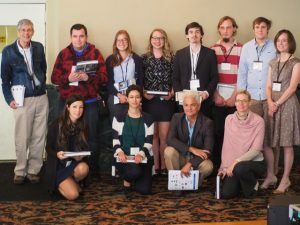 The society offers individuals interested in self-teaching and teachers of high school and college a variety of materials and networking opportunities to enhance their study and appreciation of Fitzgerald, his work, and his times. 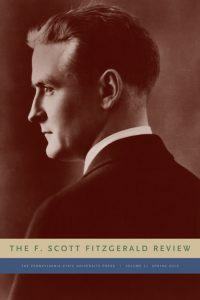 The F. Scott Fitzgerald Review publishes essays on all aspects of F. Scott Fitzgerald’s life and work. The journal serves both the specialist and the general reader with essays that broaden understanding of Fitzgerald’s writing and related topics. Annual issues include academic articles, book reviews, and review essays that a general reader can understand and appreciate. Roundtables on germane topics as a way to promote the exchange of ideas are also published. While the main discipline is literary studies, the journal is interdisciplinary in approach, welcoming analyses in all areas of interpretation as they apply to Fitzgerald and his times. While the centrality of The Great Gatsby is recognized, the journal is also eager to advance interest in the breadth of Fitzgerald’s writing, including not only his other novels, but also his short stories, nonfiction, drama, and literary criticism. Click here for a paper registration form or click the button below to join online. This fund, established in July 2000, helps graduate students pay travel expenses to participate in Fitzgerald conferences. Linda Kuehl, the widow of the noted Fitzgerald scholar John Kuehl, is among the many Society members who’ve generously contributed over the past twenty years. No amount is too small! Remember, today’s grad students are tomorrow’s Society leaders! If you would like to contribute, click the Donate button below. Kuehl Fellowship recipients with Society leadership at our 2017 conference in St. Paul MN. Back row: President Jackson R. Bryer, Ahmed Honeini, Marie Erickson, Lindsey Carman, Robert Steltenpool, Daniel Sundberg, Oscar Svensson, and program director Jennifer Nolan. Front row: Martina Mastandrea, Sadaf Betts, executive director Kirk Curnutt, and Ruth Reitan. The F. Scott Fitzgerald Society offers a wonderful way to connect with others who love and promote the work of F. Scott Fitzgerald. The 15th International F. Scott Fitzgerald Society Conference will be held in Toulouse, France, from June 24-29, 2019.